1. 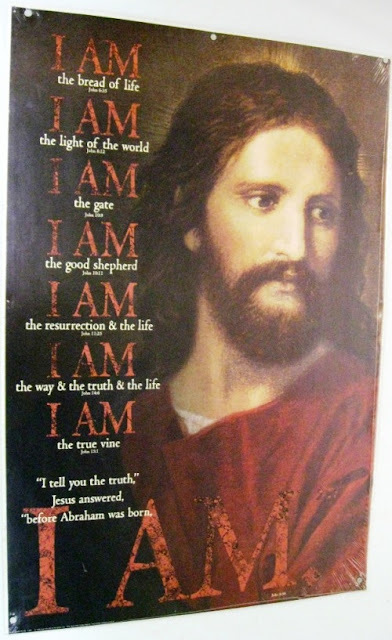 Found this on the Holy Souls Hermitage Blog. I want one! 2. Teresa cruises along the furniture and stands holding on with one hand. 3. But for all her physical milestones, her sleep remains a challenge. And when I do manage to get her to fall asleep on her own in her crib, she has an irritating tendency to fall asleep basically by sitting up and falling forward! WHO SLEEPS LIKE THIS? 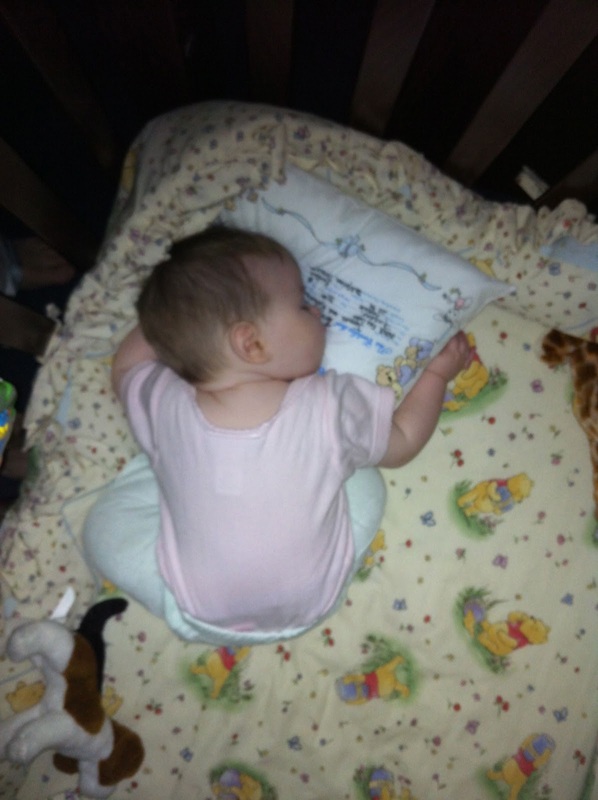 WHAT HOPE CAN I HAVE THAT SHE WILL SLEEP FOR MORE THAN 20 OR 30 MINUTES IF SHE IS GOING TO FALL ASLEEP LIKE THAT!?! 4. I spent most of yesterday trying to begin planning goals for Cecilia's 1st Grade. I only plan weekly goals at the beginning of the year so that I have an idea how much I'd like done each week. I don't plan each day because Cecilia can get into a rhythm on a subject and just go for pages and pages. I will be off by the second week, but I have a goal on where I'm going and where I'd need to be each week to get there, reasonably. She has already thrown me off though. While I had to order most of her books, I already had her Grade 1 Phonics and Math books. So we had a "do whatever you want" school week. During that week she did 43 pages of Phonics and 22 pages of Math. And even though we don't do school on Fridays, she has been back at it again this morning. Since most of the beginning of these books are review, and she only finished Kindergarten a week and a half ago, I expect she will slow down eventually when she gets to something new she doesn't understand but, in the mean time, she has eagerly begun 1st Grade. Now I just need to get my head "in the game." 5. I went to my doctor's office for some digestive issues. They are running tests to check my thyroid levels (though, after 12 years being hypothyroid, I wouldn't believe that to be the only culprit even if it is off) as well as to check for anemia and celiac. If all those check out okay, I'm to go off dairy for 2 weeks to see if it is lactose intolerance. :::sigh::: I can't decide which would be worse, celiac or lactose intolerance. But it would be nice to feel better. 6. The other day I offered to give my three oldest girls a ride in the red wagon. Cecilia and Felicity had already buckled themselves in at either end. I told them to make sure there was a spot for Elizabeth to sit. Cecilia graciously offered her lap for Elizabeth. As I was helping Elizabeth into the red wagon, I could smell she needed a diaper change. I said, "Oh dear, I think Elizabeth has a squeegie," but Cecilia said, "that's okay, Mom, she can still sit in my lap." 7. I have my second Catechesis of the Good Shepherd class tomorrow. It is actually the 3rd class, but I missed October's due to having no one to watch the girls. I will be taking Teresa. I'm fully expecting it to be a complete nightmare. Teresa doesn't sleep worth much of anything and is super sensitive. 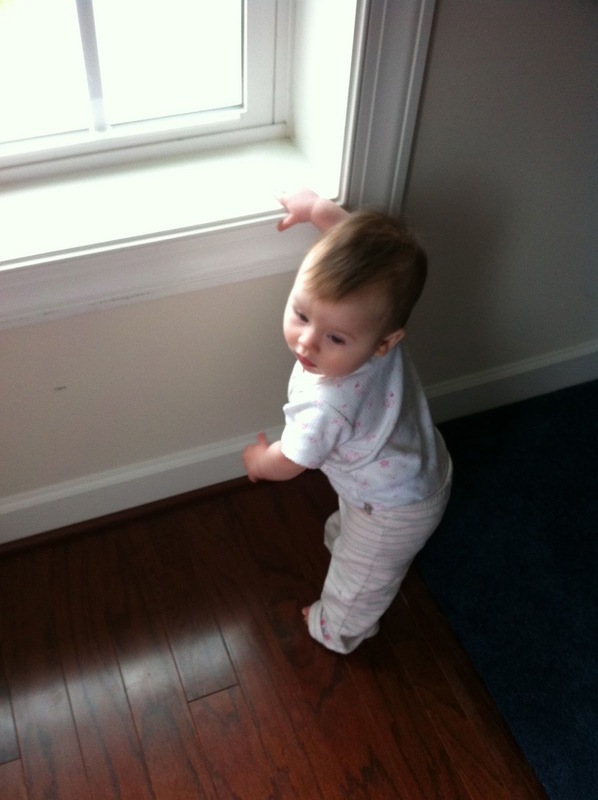 She is also crawling, standing and cruising. The class is held in a Montessori school which means that all the materials are within her reach. The class lasts 7 hours. I'll leave the rest to your imagination but prayers for Teresa's behavior tomorrow would be appreciated. More Quick Takes at Jen's. Will pray tomorrow goes smoothly and you feel better soon.